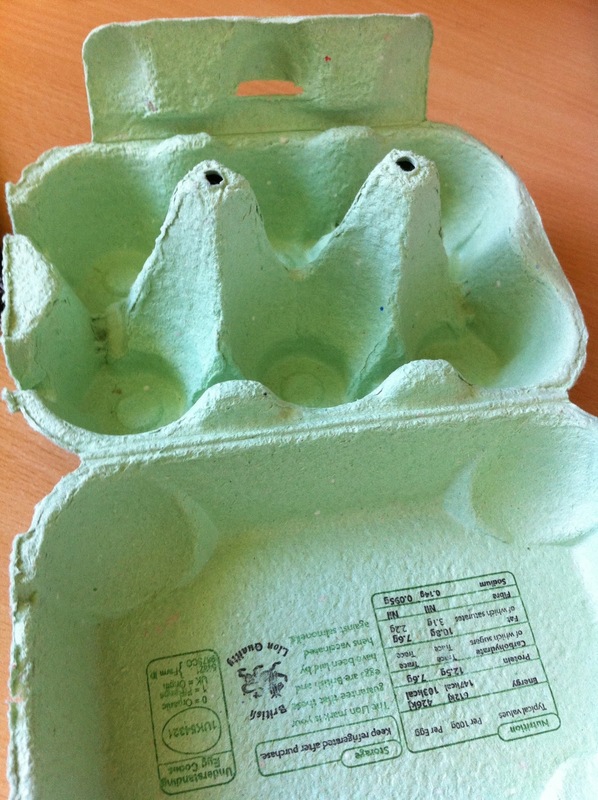 Take and old egg box ………. 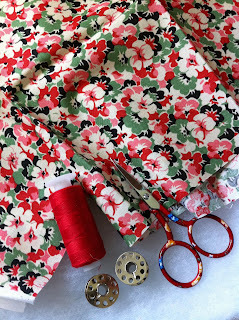 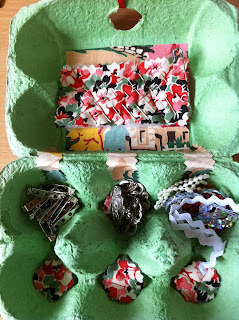 Some pretty vintage material and bits and bobs ………. 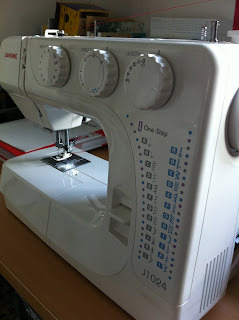 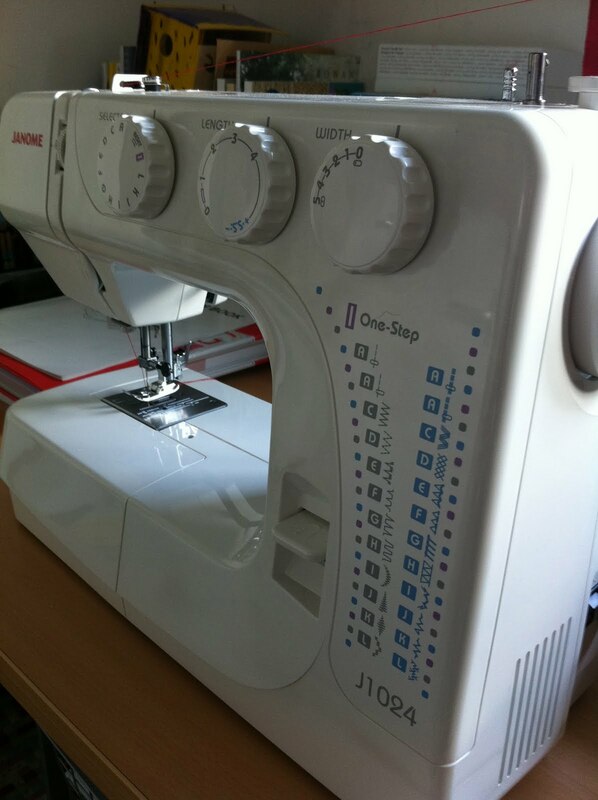 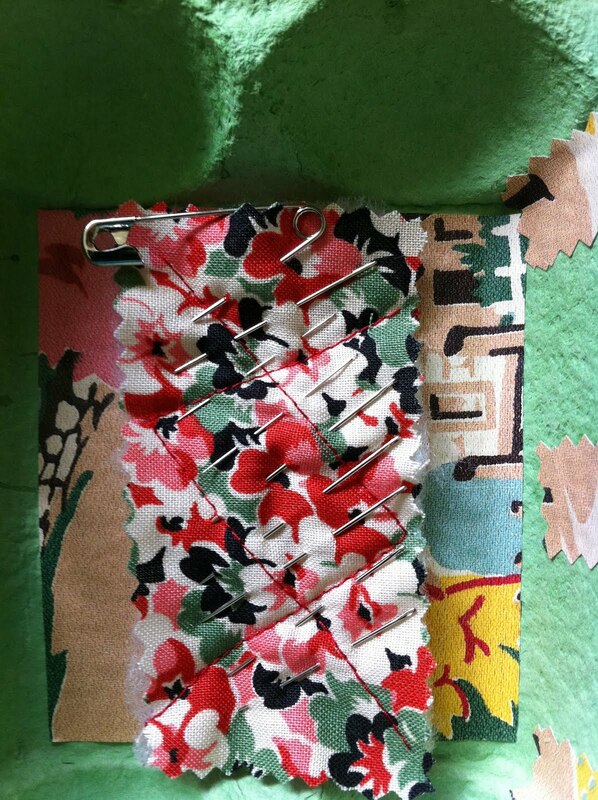 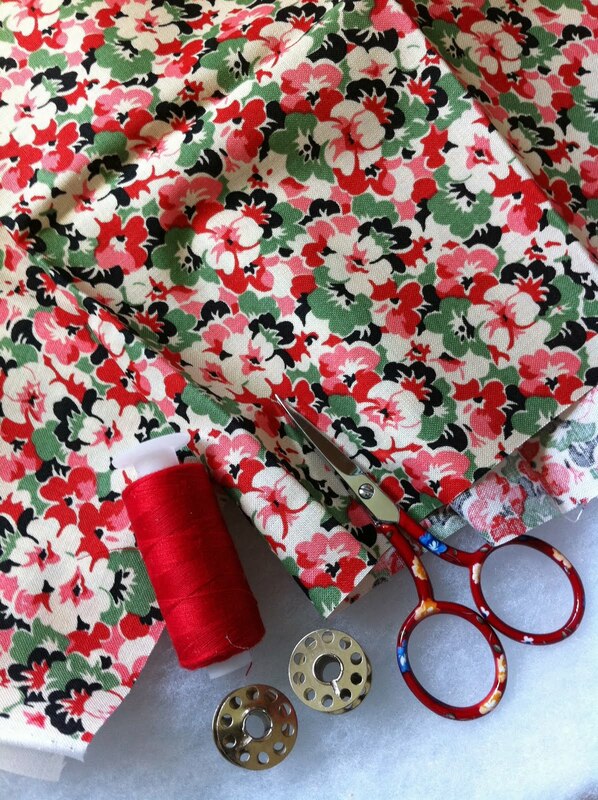 A little bit of time – cutting and stitching ………. 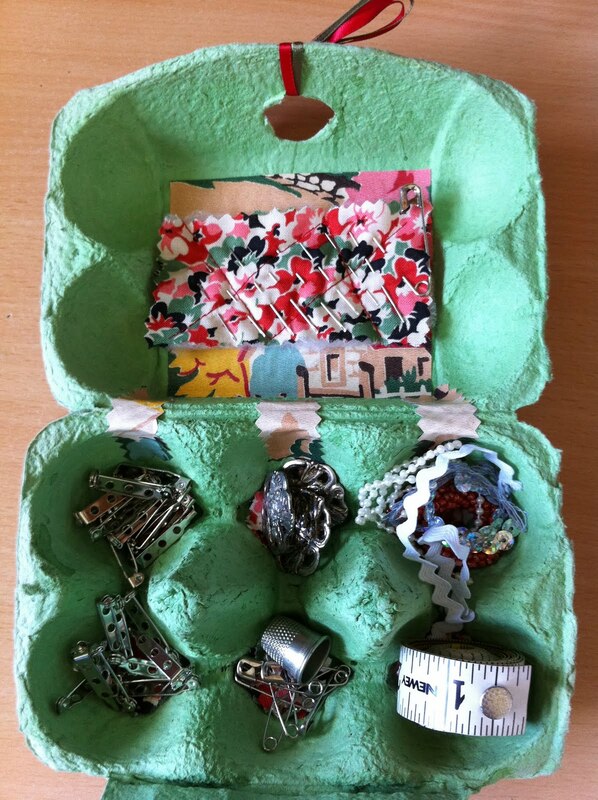 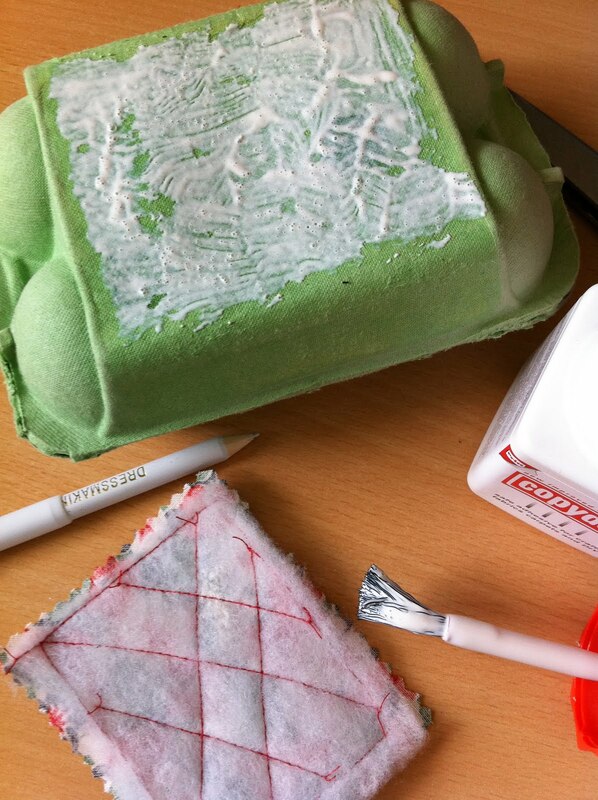 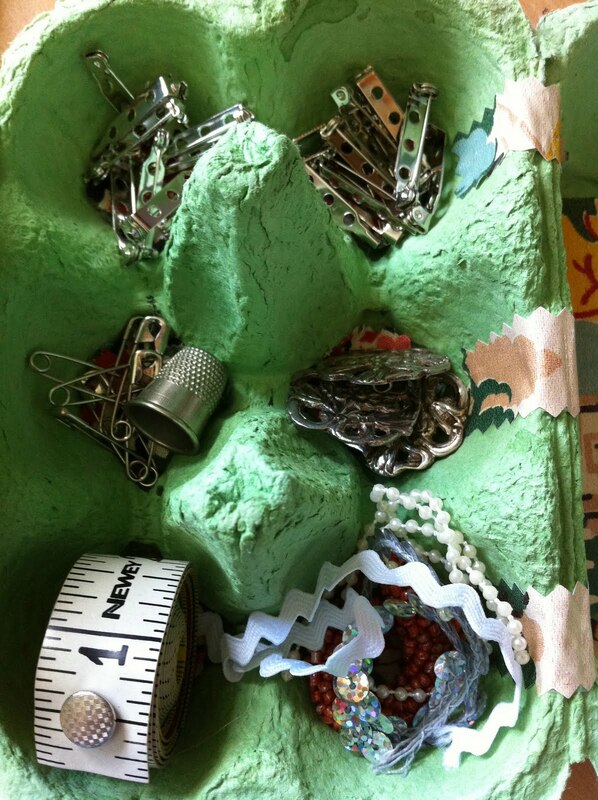 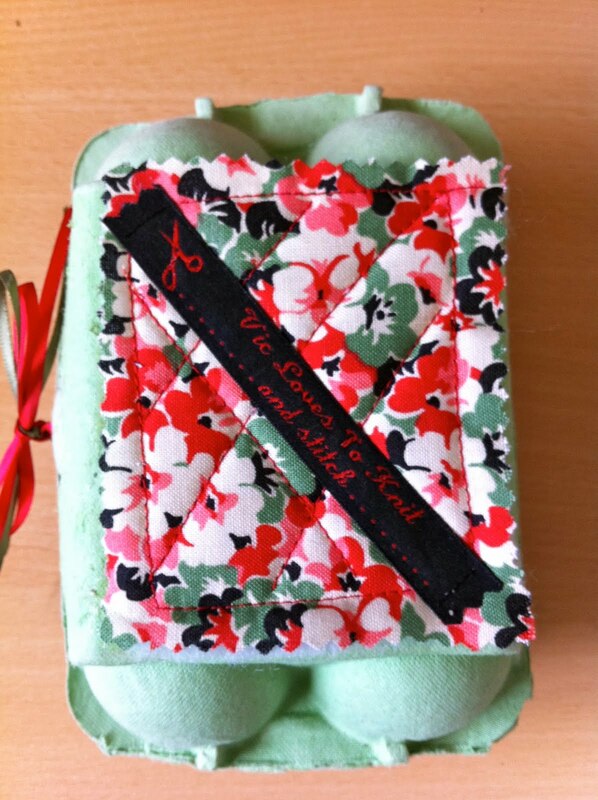 A little egg-xtra storage for those odds and ends that end up at the bottom of the sewing box ………. 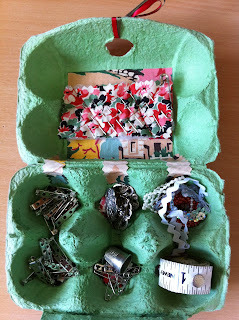 All safe and sound and easy to find.